–Put your feet on the ground: Take off your shoes and socks, and let your feet stretch out. Spread your toes, and let yourself feel unfettered. If it’s warm enough, do this outside where there’s grass or litter-free soil. Even standing on pavement or a sidewalk barefoot can get you more in touch with how your feet can sense the contours and temperature of the ground you walk on, and how the weight of your body and your balance conveys your relationship to the landscape and the gravity that holds you to the planet. You can also try sitting on the ground, and touch it with your bare hands for the same effect. Or even try laying flat on your back! No matter what you do, you want to be in physical contact with the ground and notice how your skin gives you detailed information about it. –Bowl of water: Fill a mixing bowl with water, not too cold and not too warm (this is especially nice on a hot day! ), and fill a glass with cool or cold water. Immerse your hands in the bowl of water. Feel it against your skin, note the temperature and how your pores soak in the moisture after just a little while. Notice how the water fills the container it’s in perfectly. Let it sit still, and then try making ripples across the surface. Wave your fingers underwater so that you make little currents that travel across the bowl’s width. Cup your hands and bring a little water out, then pour it back in. Let yourself feel and play with the water as though you’d never encountered it before, and note its unique qualities. Now, drink a bit of the water in the glass and feel the liquid go down your throat. Note how it soaks into the skin of your mouth and throat even before you’ve completely swallowed, replenishing thirsty cells. Drink as much of the water as you like. –Mindful eating: Get some food, preferably something that is minimally processed, like a piece of fruit; I’ll use an apple for this example. Hold the apple and feel the weight of it in your hand. Notice how tightly the skin wraps around the flesh, and notice the tiny details in its coloration. 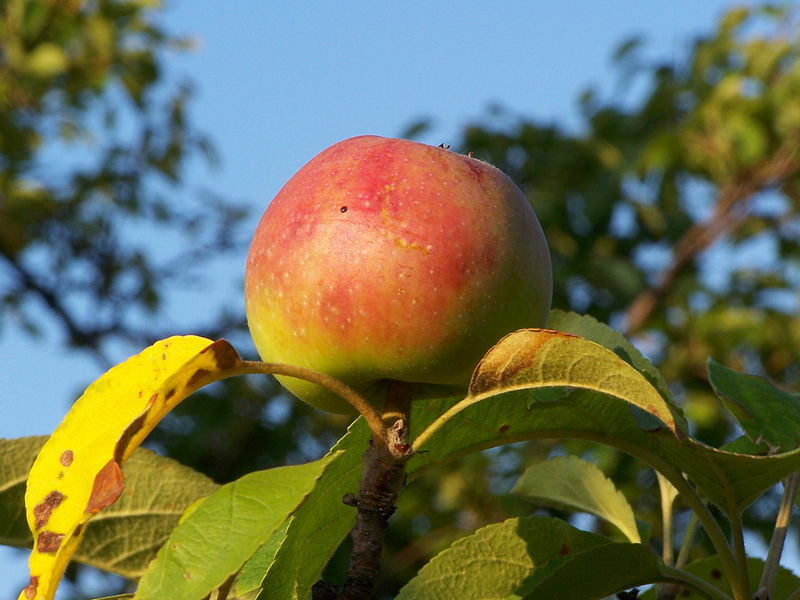 If the stem is still attached, touch it and see how the rough, woody texture is different from the smooth apple skin. Think about the tree this apple came from, and where it might be growing. Think about this apple hanging from the tree in the warm sunshine, or with spatters of cool rain like dew on the skin. Imagine breezes blowing through the tree, rocking the apple amid the rustling of green leaves. Now, take a bite of the apple and chew slowly. Let the sweetness spread over your tongue, and feel the crisp flesh between your teeth. Notice how the texture softens as you continue to chew. As you swallow, imagine that you’re taking in a tiny bit of the sunshine, the rain and the breeze that all touched this very apple as it grew on its tree, and all of these things are becoming a part of you. You can even imagine that you are there under the tree, with the scent of ripe apples all around you. Continue to allow yourself to feel this place in nature as you eat the rest of the apple, as much of it as you can. When you’re done, put the core in a compost bin, or save it until you can take it outside and bury it in the soil so that whatever’s left can go back into the Earth. You can do this exercise with other foods; focus on the qualities of the food itself, and then imagine where it came from. Let these thoughts linger in your mind as you eat the food and let its nutrients become a part of your body. –Candle flame: In a safe place where it won’t be knocked over by children or pets, light a single candle. If you can, turn out all other lights, especially if it’s at night. Now, watch the candle burn for a moment. Watch the wax at the top turn to liquid in a pool around the black wick. See how the single flame flickers in response to the slightest breeze, and how it grows and shrinks ever so slightly as it burns. See how many different colors you can see in the flame, from inside to out. Carefully put your hand near, but not too near, the flame so you can feel the heat against your skin. Think about the light and the heat of this tiny fire, and how we have made use of fire throughout our species’ history to cook our food and to stay warm. Consider how we each have many tiny fires inside us, one per cell, burning the fuel of our food and giving us the strength to live, and making us warm inside and out. Compare this one tiny flame to the massive fire of the sun, without which life on Earth would be impossible. Think of a line connecting all these fires–the sun, the candle, the metabolism of your body. then gently blow out the candle, and smell the bit of smoke that remains afterward. Feel the warmth of your body, and how you still carry the warmth of the candle and the sun within you. –Tend to plants: this works with both house plants and gardens outdoors. Go to your cultivated plants, and give them all a first look. Are there any that look especially in need of water or other care? Any that have tipped over or need a bit more support? Attend to these immediate needs as best as you can. Now, pick one plant in particular. Maybe it’s a favorite one, or one that you tend to overlook. Study the plant visually; look at its colors and patterns, and the shape of the leaves, stems, and flowers if present. Study the overall shape of the plant, and its size in relation to the others. If it’s safe, touch the plant gently. Examine one of the leaves in greater detail (don’t remove it from the plant!) Is the surface smooth, or fuzzy, or rough? Is the tip pointed or round? How smooth are the edges? What kind of a stem holds it to the rest of the plant? Hold the leaf closer to your face; the leaves have stomata which they use for breathing. As we inhale oxygen and exhale carbon dioxide, so the plant takes in carbon dioxide and exhales oxygen. Breathe close to the leaf, and imagine that you are sharing air, each taking what poisons the other and giving back what the other needs to live. Then let the leaf go, rearrange the plant if need be, and take a moment to be grateful that you have this symbiotic relationship. –Go for a walk: This is as simple as it sounds. Just get up and go outside for a few minutes, maybe walk around the block or parking lot. Make sure it’s someplace you can walk safely, or at least sit and watch the world go by. In some areas you may have a lot of trees and green space around you; try gravitating toward them and enjoy their presence. If you’re in a more urban, paved-over area with not a lot of nature, try looking up at the sky. Spend your time enjoying not being hemmed in by walls and a ceiling. Let even the tiniest bits of non-human nature attract your attention–weeds growing in the cracks of a sidewalk, or pigeons flying overhead. Look for signs of nature even in human-made artifacts, like smooth marble blocks on the sides of buildings or the grain of wood in shingles or siding. And again, if all else fails, just look up at the sky. If you can see the sun, pay attention to where it is. If the sky is cloudy, notice their shapes and contours, how high up they are or how close to the ground. If it’s raining, let a little fall onto your skin and feel the cool dampness soak into your pores. When your time is up, remember that this place will still be waiting for you later when you need another break. Again, these are just a few possible ideas for five minute ecotherapy. Some of these may be a better fit for you than others; you’re under no obligation to use every single one. Instead, use what’s best for you, and make whatever alterations you need to get the most out of the experience. The key is to use nature’s restorative properties to help you feel a little better; one five minute exercise may not solve all your problems, but it can give you enough of a break to be able to think more clearly about them. Enjoy!